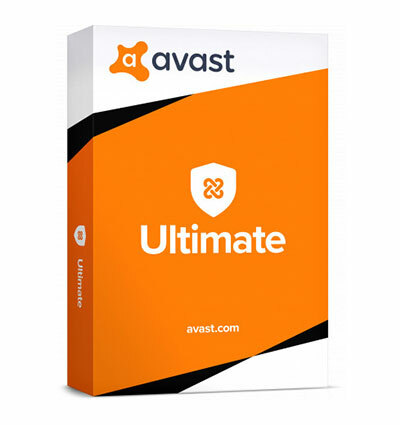 Avast Ultimate is a bundle product of premium security, privacy and computer optimization tools. Avast Ultimate is a bundle of all necessary tools. You don’t need to purchase different tools. With single install, Avast is giving you all premium features. Avast Premier antivirus protects your computer from severe threats. The SecureLine VPN creates a secured connection and also protects your privacy. Moreover, the Cleanup Premium speeds up your PC by removing junks. If you are worried about the password, then Avast Ultimate also got you. The Passwords Premium stores all your password in a secured vault. You can access them with a single password. Let’s see all the features of Avast Ultimate in detail. Firewall – actively monitors internet traffic and keeps hackers & data hunting websites away. Anti-Spam – removes malicious content and spam emails from your mailbox. Real Site – protect your DNS from hackers who try to hack it and redirect you to fake financial websites. Wi-Fi Inspector – detects loopholes in your Wi-Fi network and fixes it. Intelligent Antivirus – uses smart analytics to stop viruses, malware, spyware, ransomware, and phishing. Ransomware Shield – blocks other programs and ransomware from changing your files. Automatic Software Updater – auto updates your outdated software so that no security holes left. Sandbox – runs a suspicious program in a safe environment before you run them on your computer. Webcam Shield – apps need to ask you before accessing your webcam, so no more webcam spies. Open Source Privacy Protection – built on most reliable OpenVPN and OpenSSL protocols. No Logs – doesn’t keep the record of anything. 256-bit AES Encryption – incoming and outgoing traffic gets encrypted with strong encryption. DNS Leak Protection – keeps your real IP hidden on IPv4 and blocks IPv6 requests. Stream & Gaming Capable – provides a fast connection so that you can access high def movies and games. 55 Locations over 34 Countries – lets you choose and access different areas services. 1-Click Maintenance – performs six critical cleaning and tuning tasks in a single click. Disk Cleaner – safely deletes windows and other programs unused files. Registry Cleaner – removes unnecessary registry entries and fixes errors. Browser Cleaner – deletes malicious add-ons and leftovers traces & cookies. Sleep Mode – puts resources draining applications in sleep mode to make your PC super fast. Bloatware Removal – cleans adware, PUPs, and other massive programs, so that your PC perform quicker. Password Guardian – monitors the web and tells you the moment when a website is hacked. One-Touch Login – lets you quickly log in to your accounts with one touch feature. Auto-Fill – fils passwords and credit card details without copy pasting so that you can quickly shop. Avast Premier lets you scan your computer for protection and safety issues. You can access various tools and services. Premier also enables you to protect the privacy. Furthermore, it gives you tools to boost performance. The SecureLine VPN lets you access the internet anonymously. Choose your location and turn it on. Then you are ready to go invisible on the internet. It has more than 55 locations from 34 countries. You can also customize VPN settings. Avast Cleanup Premium has different cleaning features. It has a meter that tells how much your PC is tuned up. You can run maintenance and speed up the PC. It also has separate tools for fixing problems. Moreover, it has free up space feature to remove junks. Password Premium lists all your passwords, which you can easily search. It also has Analyze Password button. This option lets you access the security of password even more. It tells you which password is weak. Then you can take actions to correct them. Thanks, WorthWagon for this awesome deal. Got the product keys within minutes. Wanted to purchase Avast Ultimate for a long time, and was waiting for such deal.